VANISHED OPPORTUNITY? – Given her advancing age, the woman who spoke to the Star this week wonders if the Yukon government’s cancellation of Finlayson caribou permits has deprived her of her final opportunity to ever hunt one of the herd’s caribou. A Haines Junction senior resident is upset after learning she may have received a hunting permit for the Finlayson caribou herd this season – if the Department of Environment had not decided to cancel the permits for which it had drawn names. While 30 successful applicants were chosen after a lottery draw, they were not physically issued their permits. Instead, they were told in early July that their permits would be put on hold. That would be until a final decision was made, which the government committed to making before the Aug. 1 date marking the beginning of the hunting season in the territory. 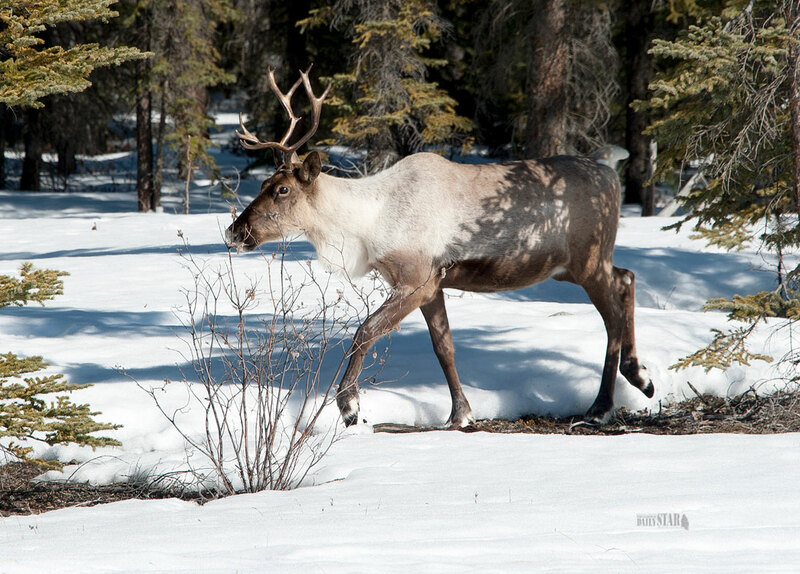 A release dated July 31 stated that the Finlayson caribou permits would be cancelled and those successful in the draw would be contacted individually. The resident, who preferred to remain nameless, told the Star she was told by a department official that she was high on the list of receiving a returned permit, as three had been returned to the department at that time. She added that she had been waiting more than five years to have her name drawn. A list available on the department’s webpage confirmed that three caribou permits out of a total of eight with the tag CA405 were returned. A spokesperson for the department confirmed Tuesday that officials are able to share the weighting of individual hunters. “Upon request, the department will confirm weighting for applicants and contact applicants if they are being offered a returned permit,” Roxanne Staszyszn, the director of communications for the department, wrote Tuesday morning. The department announced in a July 23 release that it would no longer be reissuing returned permits. That is, the list used to determine who the department would normally offer a permit to after it has been returned to them was also impacted by the data errors. The department did commit to refunding the application fee and adding an additional year’s weighting for the following year to those who were impacted by the cancellation of Finlayson permits. A department webpage notes that the application fee for individuals is about $10 plus the GST. A joint application with another hunter will cost about $20 plus the GST – something the hunter said may not be a significant amount to make up for what may have been. “I have lived off what I put in my freezer all my life. “Right now I’m out of meat, and I definitely would have used the draw this year had I gotten it. Frustrated, she said she was aware that the department had committed to conducting a review of the lottery process in hopes to have recommendations of that report ready to implement by April 2019. That was according to department officials who provided a technical briefing to media in late July. As Stasyszyn explained last month, the door remains open for these and other things (like the department’s Aug. 1 practised date by which it tries to reissue all returned permits) to be considered in the upcoming independent review. With Stasyszyn noting that everything is on the table for that review, it is possible for recommendations to come out that would require a regulation change. Formalizing a policy around the Aug. 1 date, for instance, could mean a regulation change that may be difficult to implement in time for April 2019. That’s time that the resident can’t afford, she said. “I figured this would be my last opportunity to ever get anything ... I don’t know how much time I have left” to keep up with the physically-demanding practice of hunting, she added. The Aug. 1 practised timeline is also something she took issue with. Stasyszyn mentioned last month that fewer and fewer hunters are able and willing to accept returned permits as the hunting season dawns and August fast approaches, which the resident refutes. “Not everybody is running out to go and shoot something on the 1st of August,” she sighed, recalling that when she got a caribou more than five years ago, it was mid-September. She understands that the department is trying to remedy the situation for next year, but at the end of the day, senior hunters like herself are stuck not hunting this season and hoping for the best come next year. “It doesn’t help me this year, so I’m colossally p----d off. “If I don’t apply next year, well then, I might never get another draw – and I don’t know if I can even go next year,” she sighed, recalling the physically-demanding preparation that might be required. “Seeing as how I have a limited amount of life in me,” the resident considered the possibility of having more than one draw, with one composed of seniors and another of a younger crowd. The competition for hunting permits can be stiff: the department’s webpage notes that more than 4,300 applications were submitted by about 1,158 individuals this year – with 247 permits being available. It also notes that the department currently holds a Youth Deer Draw, where two deer permits are reserved for hunters who are 14 or 15 at the time of application, according to a webpage. The list linked to on the department’s page shows two individuals with a DE602 tag for deer permits, which it also notes none were returned for. For her part, Stasyszyn recommended that anybody who has concerns about something related to a policy change get in touch with the Yukon Fish and Wildlife Management Board, which a webpage lists can make recommendations to Environment Minister Pauline Frost on legislation, policies and research, among other things. Stasyszyn noted that the department has heard concerns about those with disabilities who wish to hunt in years past, and they were sometimes directed to a process involving this board. “If that member of the public wants to go through that process, she’s more than welcome to,” Stasyszyn said, adding that it would require analysis from the department and likely a public comment period. Still, she acknowledged that generally speaking, it’s difficult to remove the physical labour that hunting often requires. “We can’t take away the fact that hunting is very labour-intensive; it takes a lot of work. “It’s important to remember: licensed hunting is a privilege, it’s not a right,” she explained. “It’s one that needs to be restricted at time for considerations of conservation ... but the only people in the Yukon who have a right to hunt are subsistence hunters” like First Nations. Stasyszyn did welcome public discussion on a greater societal question about “at what point should privilege be accommodated?” by speaking directly to the board. That being said, she added that some of these concerns currently received and being submitted to the department may be provided to the third party reviewer. The board was unable to comment in time for today’s publication. The department confirmed that a request for proposal was in the works as it gets the ball rolling on the review, but details about the scope were still being established. If he lives here give him a permit. If Trump Junior can come to the Yukon and hunt why can’t this old soul...? You hate it when seniors complain? You mustn't have any seniors in your life....and you need to learn some patience and respect for seniors. When you are that age, you will have complaints too as many things in your body and mind change with age. Seniors have just as much right to complain as anybody else. Get over yourself. You've obviously not put in for a hunting draw either or you'd see that when the gov. messes up, it really pisses people off when they are getting on in the years and it's really difficult to get a draw. You want to hate on a group of people, hate on the Ford and Trump sheep. How is this a story, the "Star" talks to a senior who is upset because they "may" have been drawn for a hunt of an over hunted herd of Caribou. If the Senior lives in Haines Junction, hunt in Haines Junction instead of dreaming about hunting in another part of the Yukon where people who rely on the herd are concerned about the bigger issue of sustainability. "Why should I be in the running with 20 year olds, 30 year olds?" There are a lot more people wanting to kill wild animals than there are animals to be killed. Look at it this way: You've had plenty of shooting and killing and filling your freezer. Give someone else a chance and quit your boo-hooing. "I'm a senior, the rules shouldn't apply to me and I'm colossally p----d off", is no argument. You won't be able to kill one of those caribou this year. Pick up the pieces and move on. Seriously? if your freezer is empty get a ticket for moose. Quit whining! Entitled people ...sheesh! We are lucky if we can hunt. Resources are limited and we take what we can get. Otherwise there will be no hunting for future generations. It's sad that this elderly hunter can't hunt, but she can still hunt under a resident hunting licence, so maybe get out there somewhere else rather than complaining about this being your last season? Maybe, oh I don't know, do something for yourself? I hate it when seniors complain. Its like the sky is falling. Two have recently expressed indignation about parking and parks fines and now someones hunt has been put off. This one has more validity tho.